For these Nashville tattoo artists, tattooing isn't what they do. You can’t teach passion. That fire within us, keeping our eyes forward and our minds inspired, is not something we learned in school. We don’t know any other way to be. We are Hart & Huntington’s Nashville Tattoo Artists. It’s not a job, it’s not a hobby. It’s who we are. Whether we create fantasy, realism, Asian-Inspired or traditional artwork, we put everything we’ve got into it. And when we’re finished, you won’t simply like your tattoo. You’ll love it. 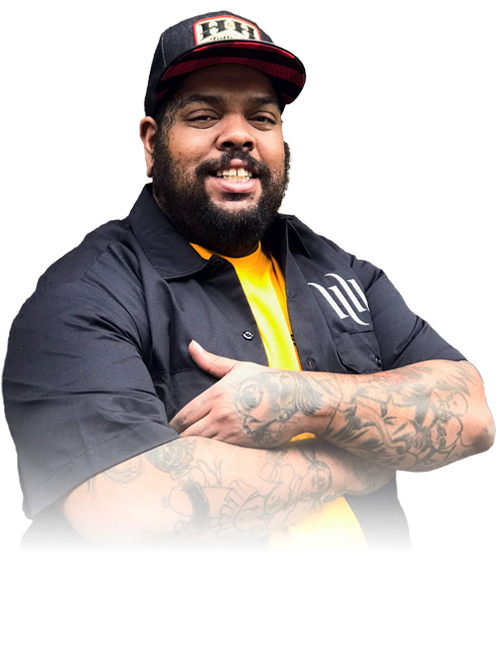 With nearly 20 years of experience in his toolbelt, H&H tattoo artist Tarik Tatham knows a thing or two about tattooing.